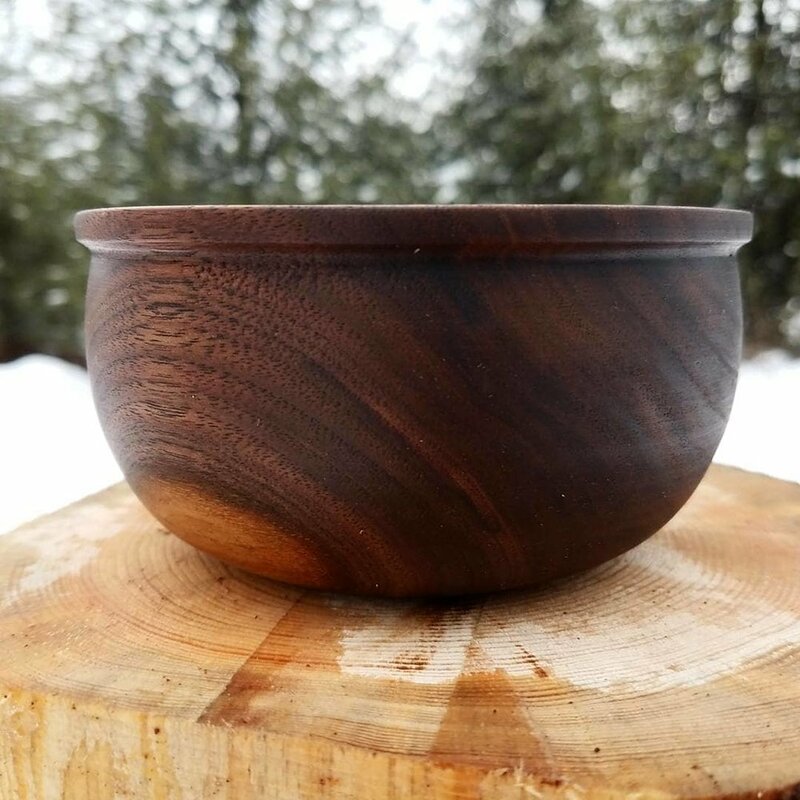 This "Dublin Viking" bowl was inspired by a bowl found in Ireland, brought there by the Vikings a thousand years ago. 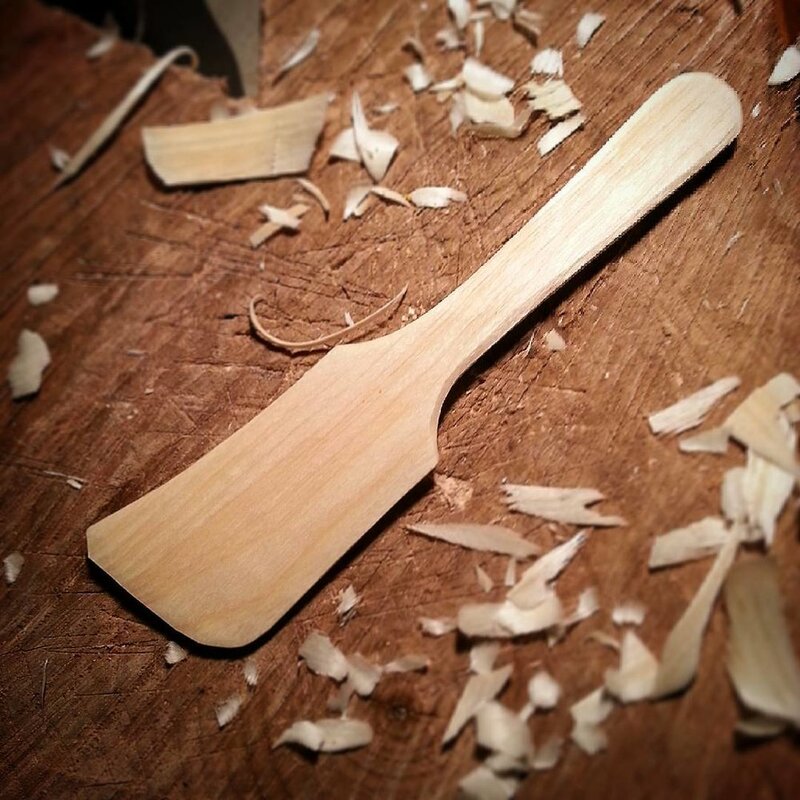 The original bowls were likely turned on spring-pole or foot treadle lathes and would have had visible grooves from where the hook tools made the cuts. 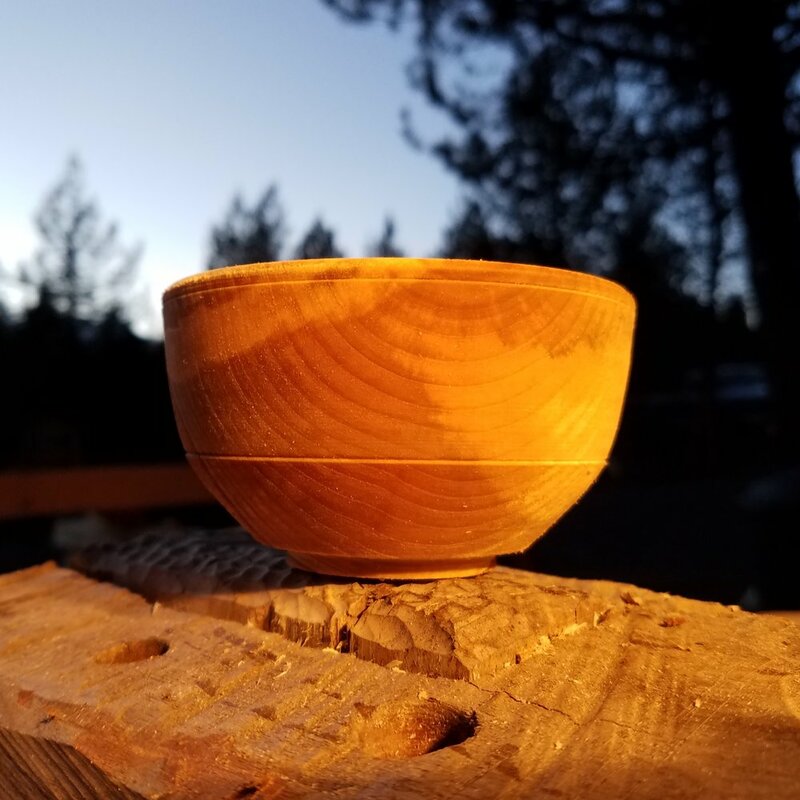 These are the first bowls I ever turned on a foot-powered pole-lathe using hand-forged hook tools. They're "rustic" to say the least, but I love 'em. 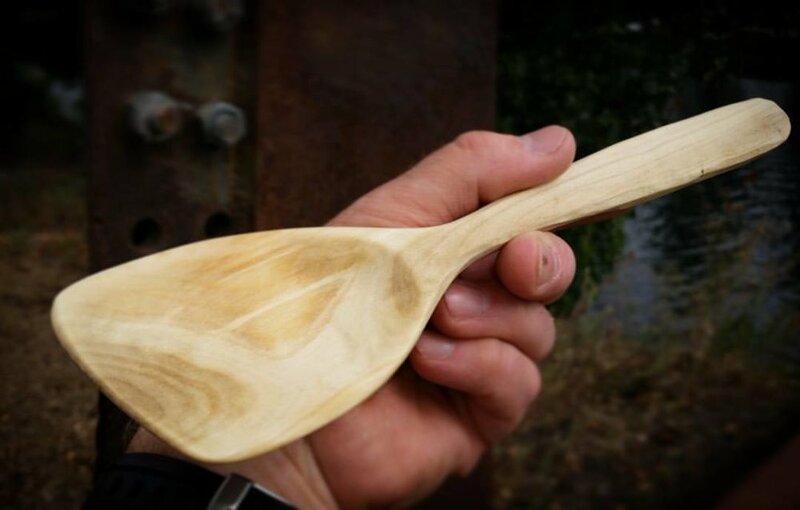 A baby spoon carved for a friend. Butternut wood.